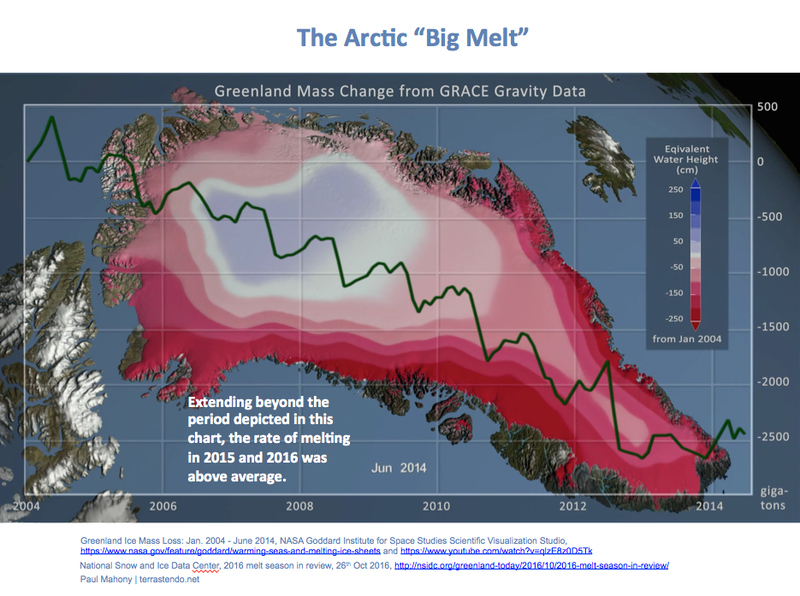 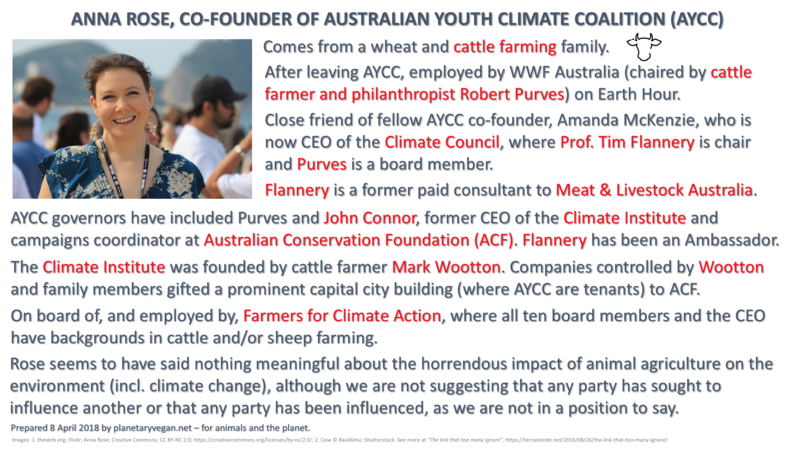 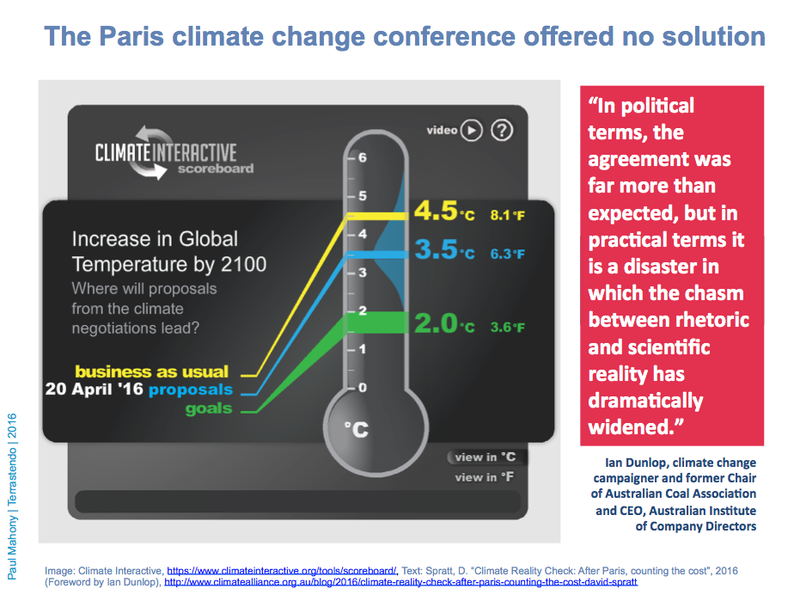 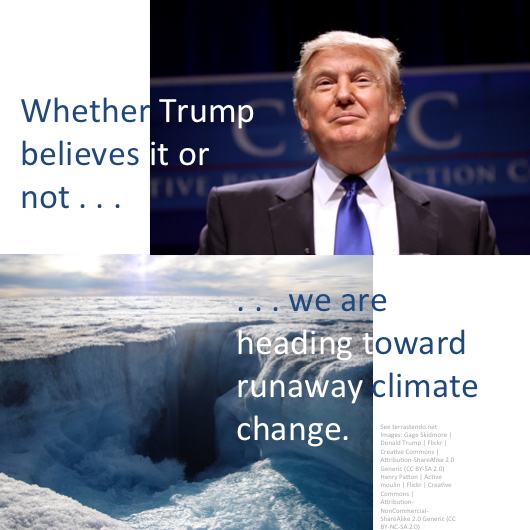 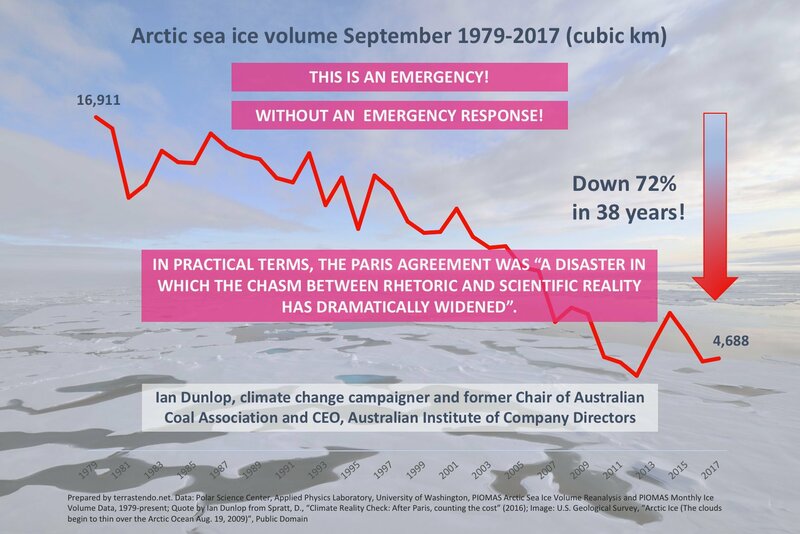 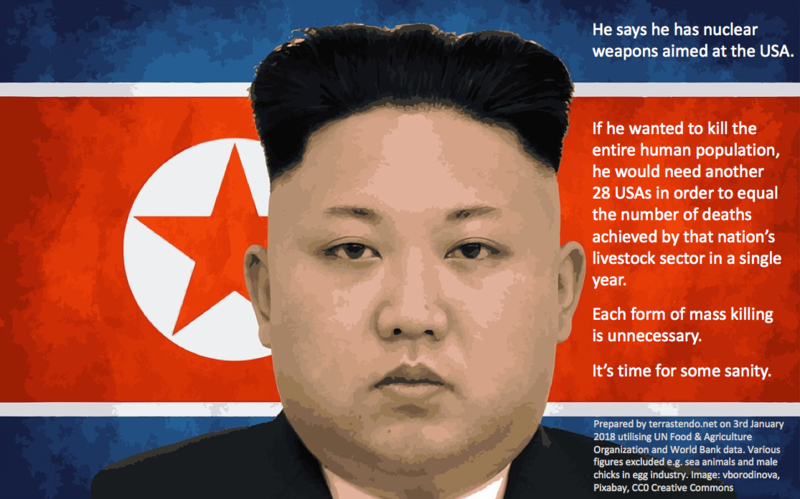 Here’s a selection of memes and charts covering various issues. 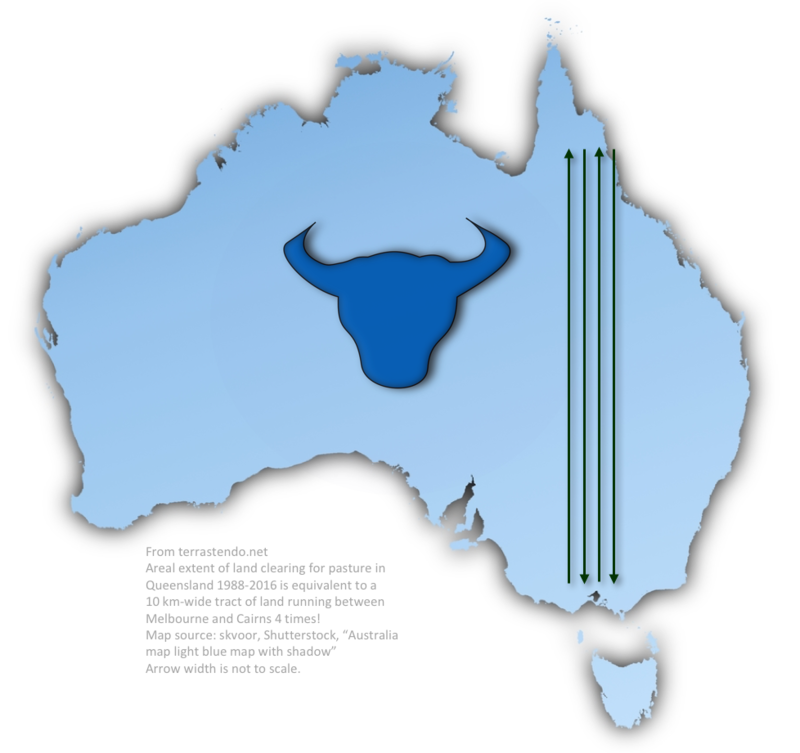 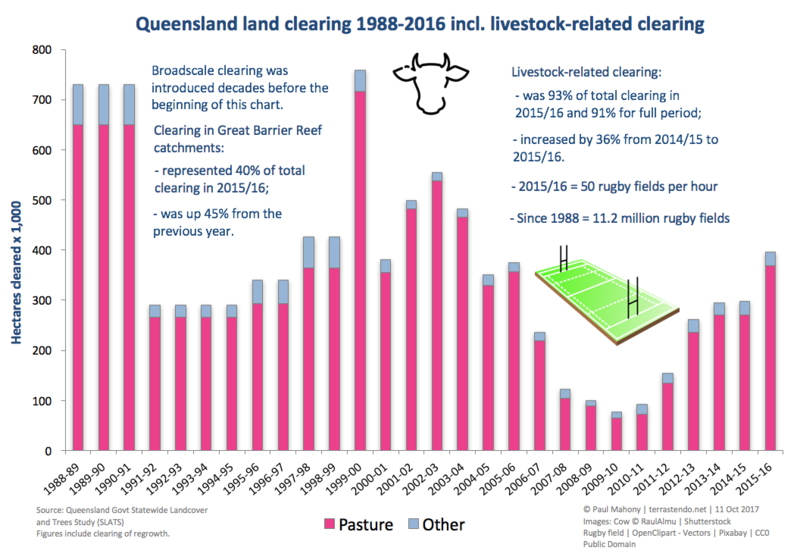 The Queensland government’s State Landcover and Trees Study (SLATS) has shown that, between 1988 and 2016, 93,970 square kilometres of land were cleared or re-cleared for pasture in Queensland, which is equivalent to 11.2 million rugby fields (or 17.5 million American football fields), with the process accelerating in recent years after a partial ban on broadscale clearing was lifted in 2013. 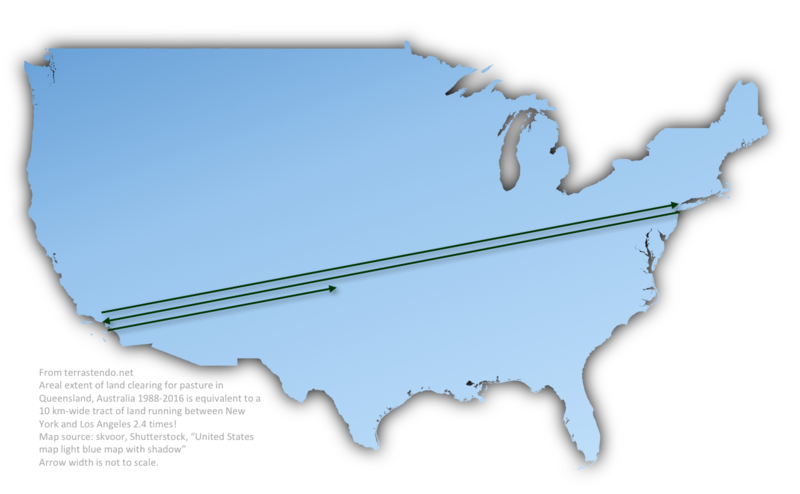 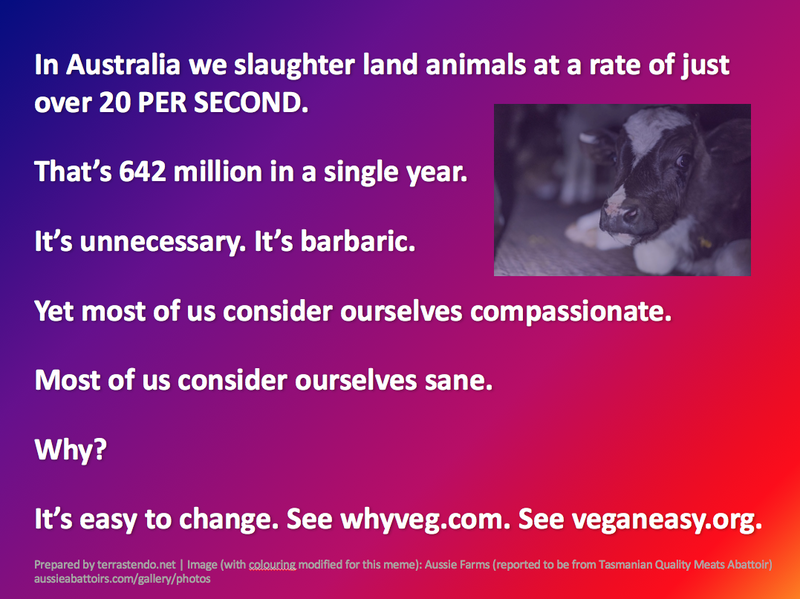 It is also equivalent to a tract of land 10 kilometres (6 miles) wide running between Melbourne and Cairns four times, or between LA and New York around 2.4 times. 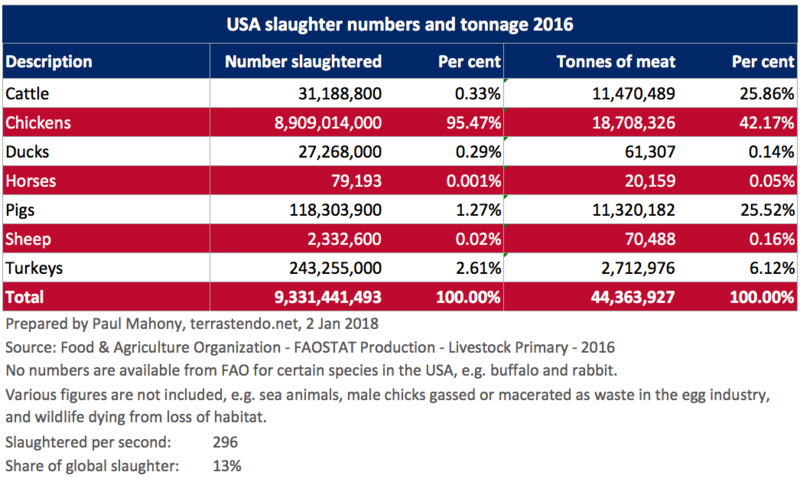 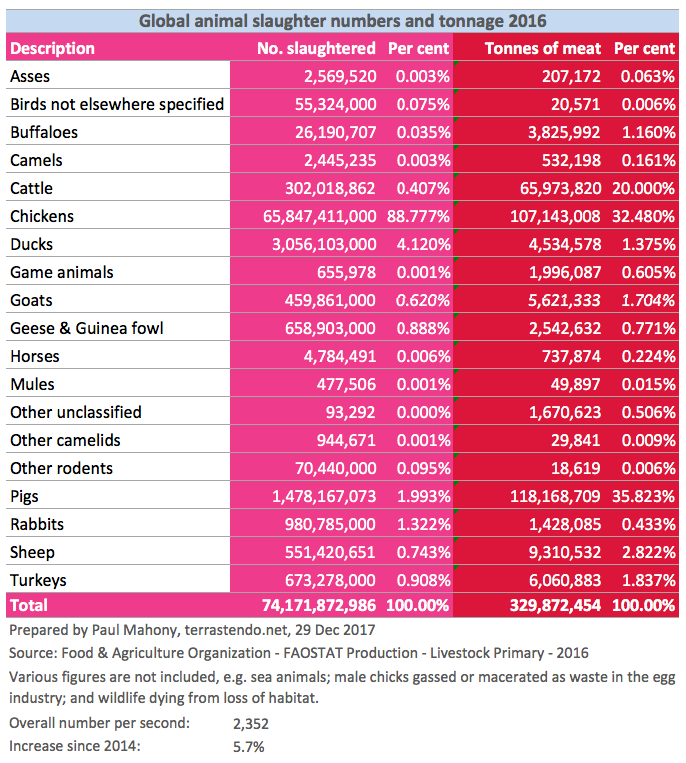 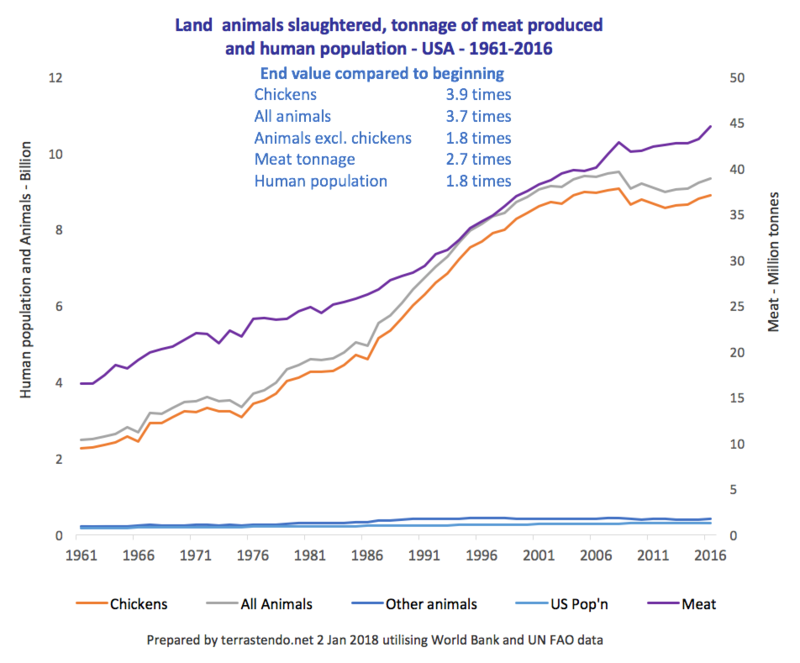 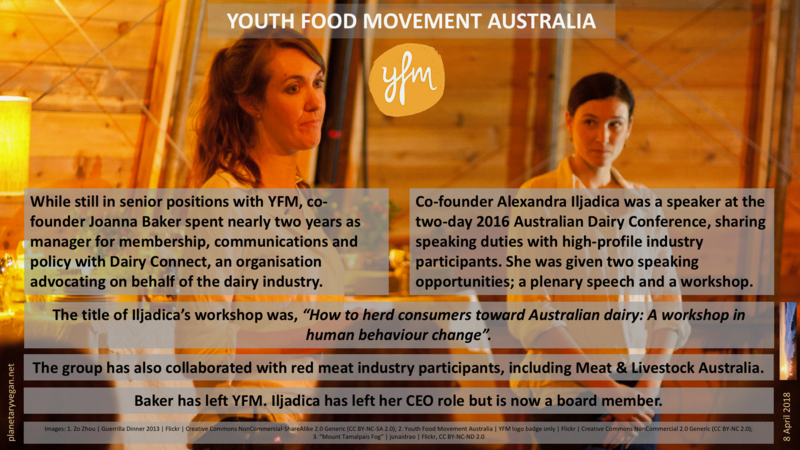 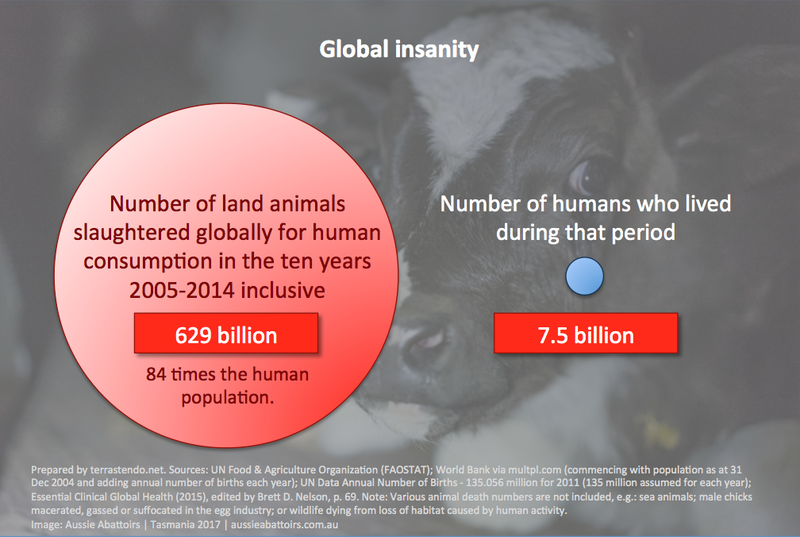 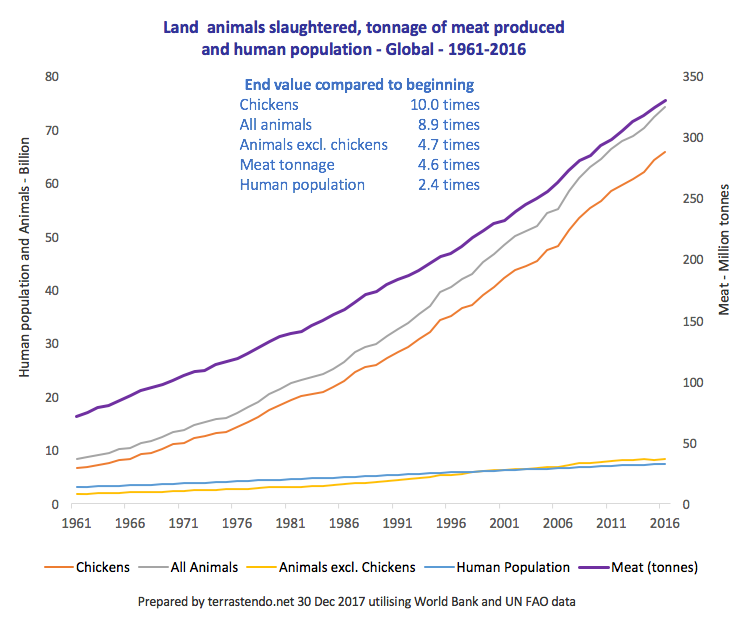 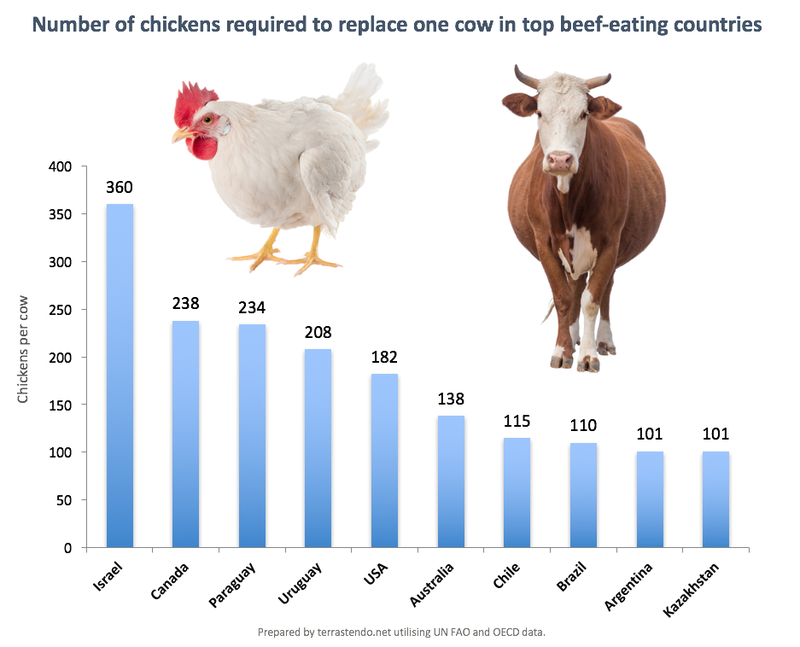 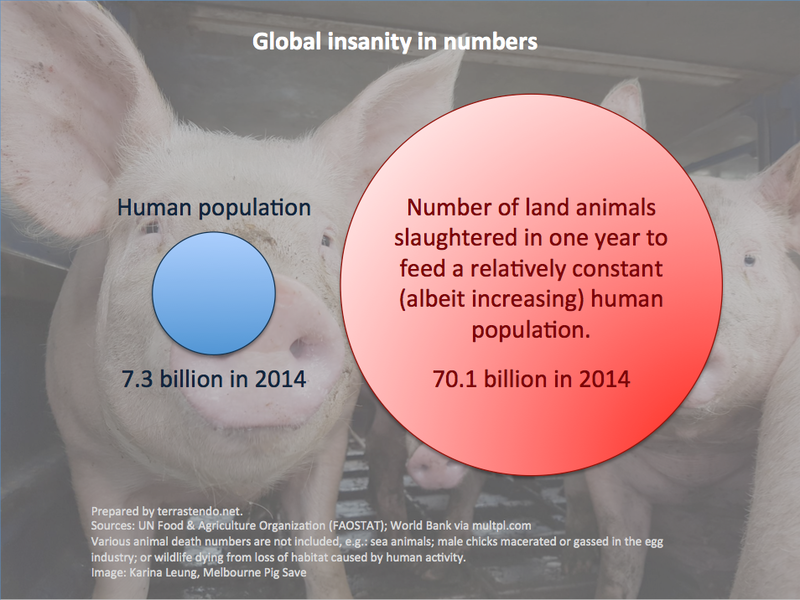 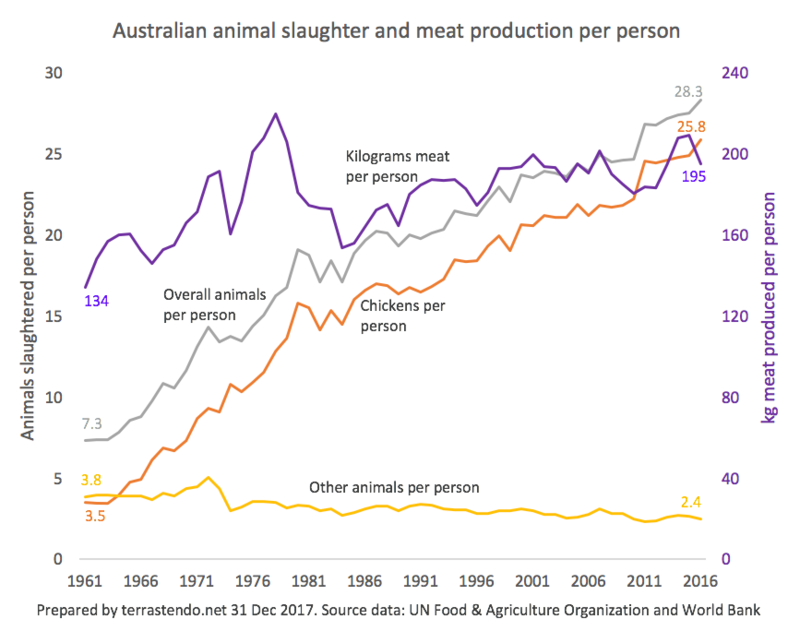 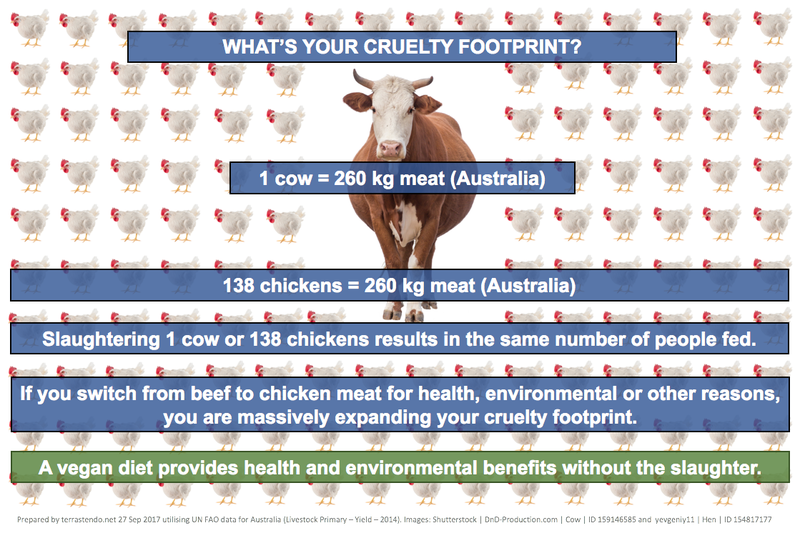 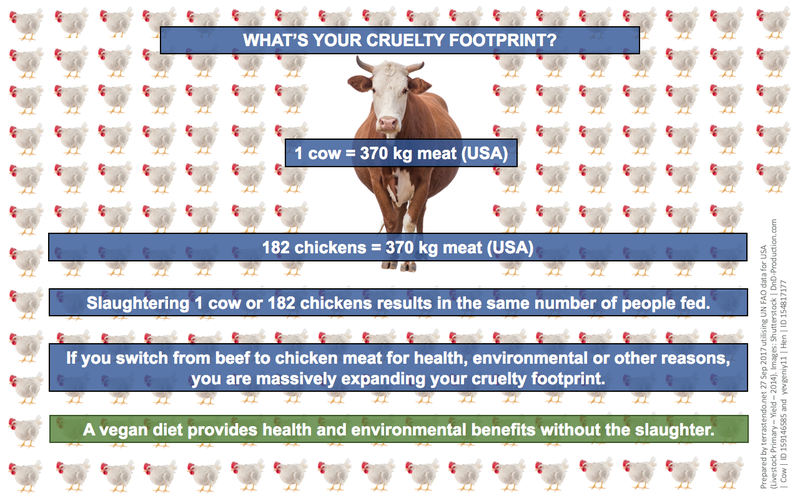 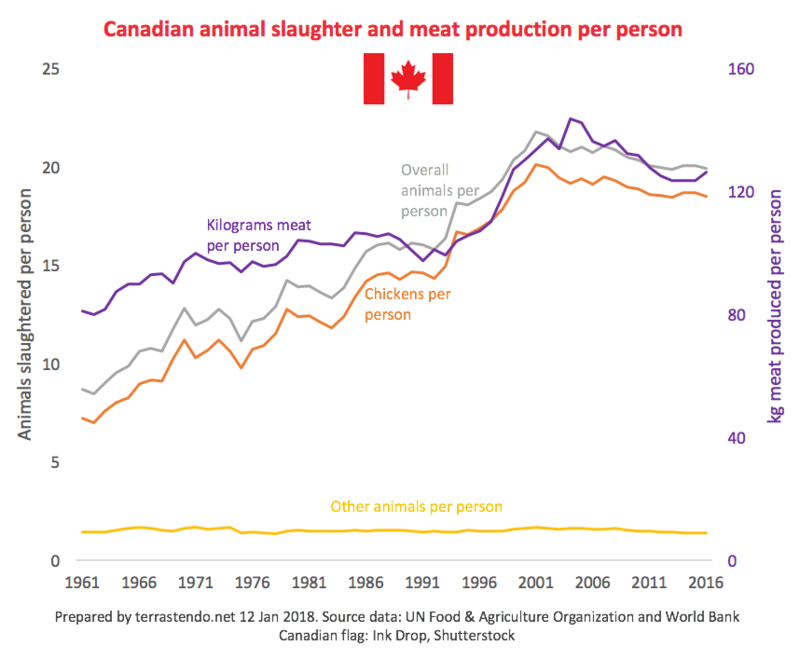 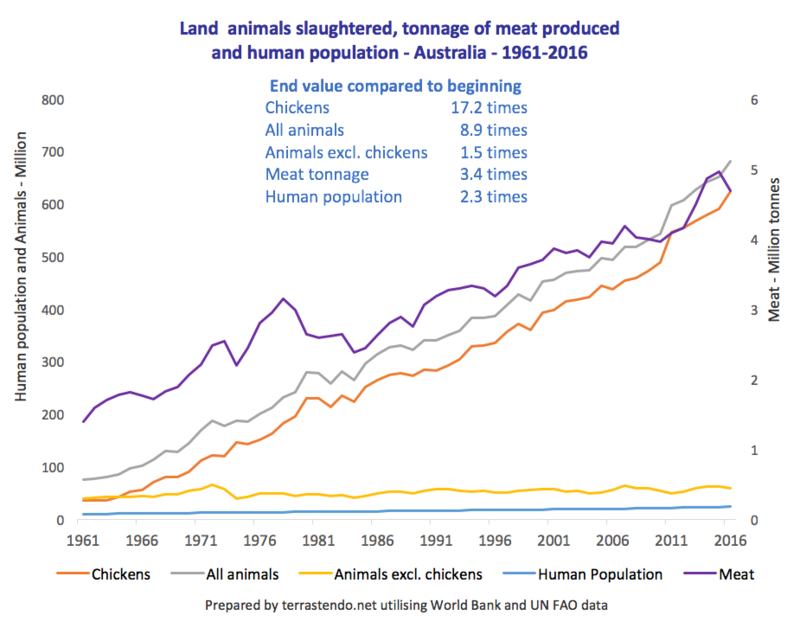 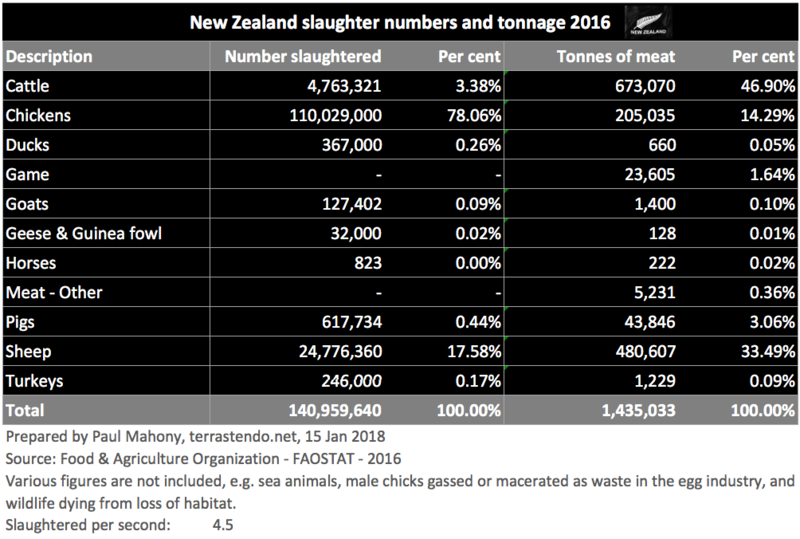 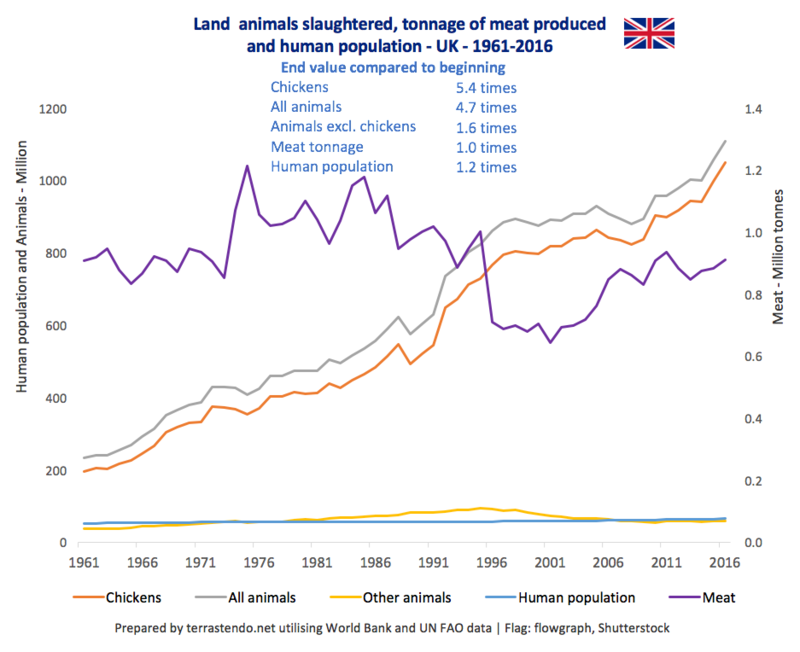 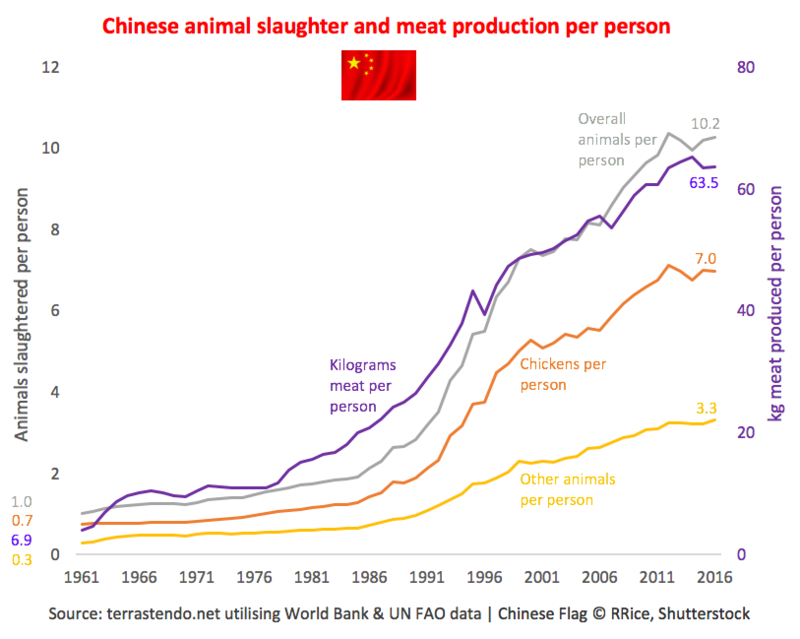 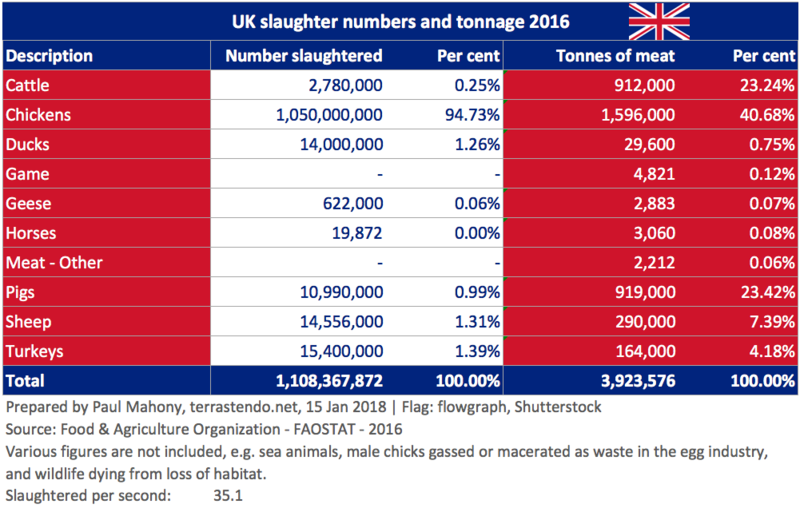 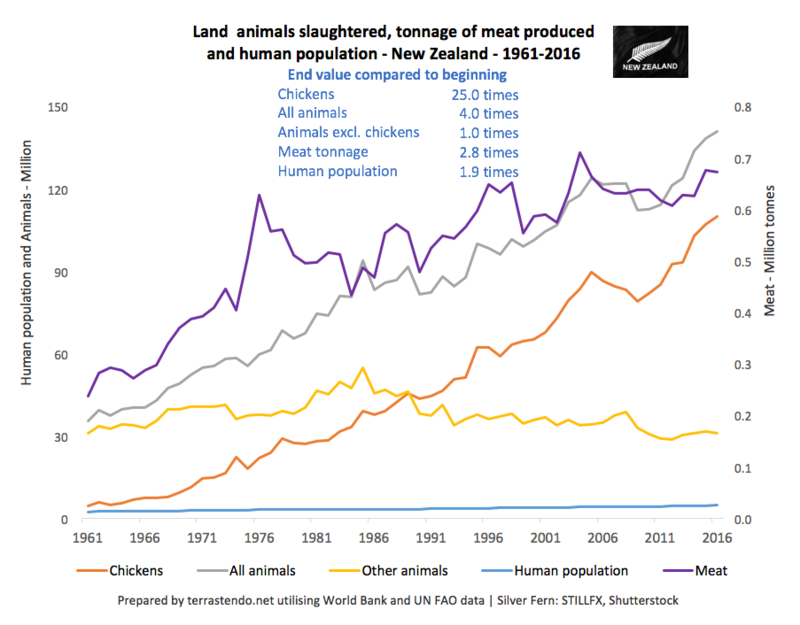 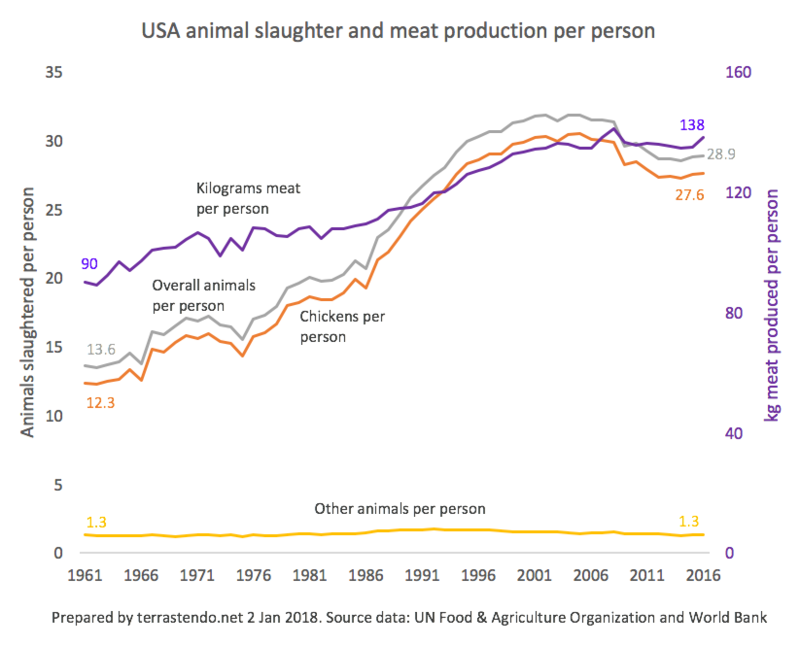 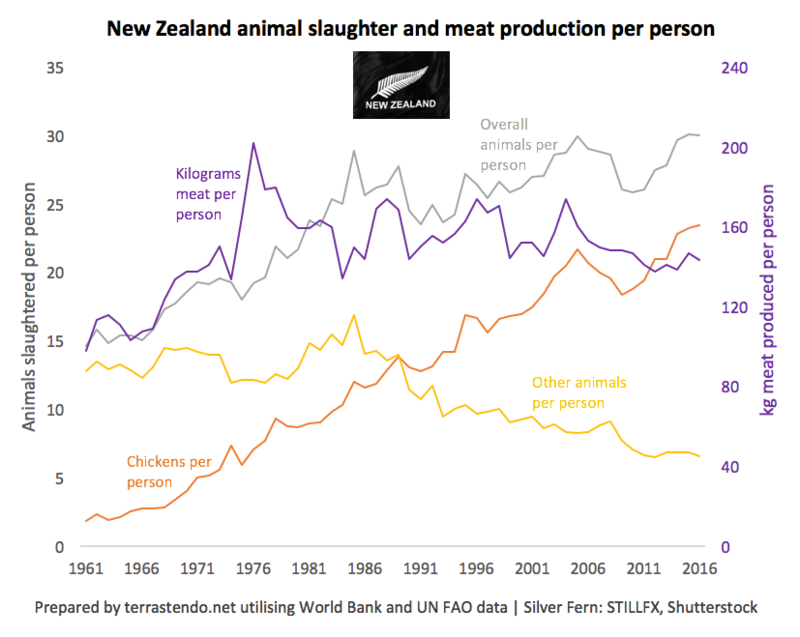 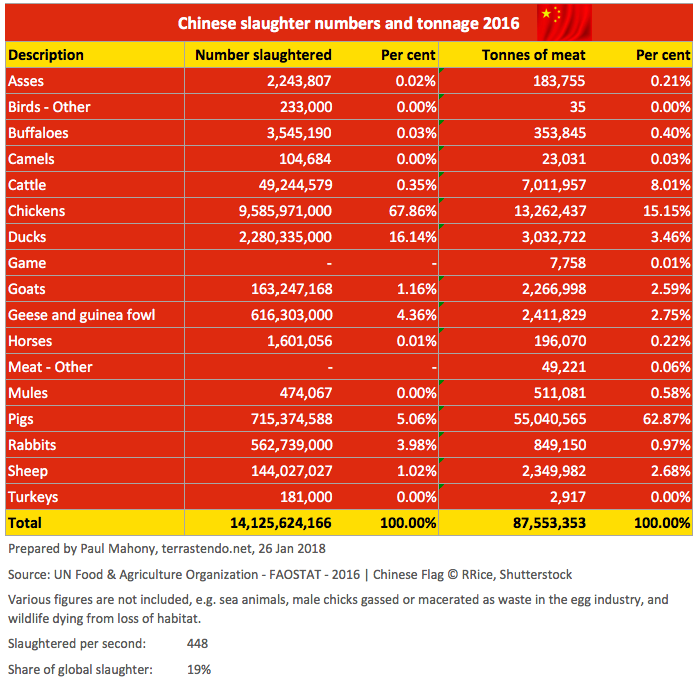 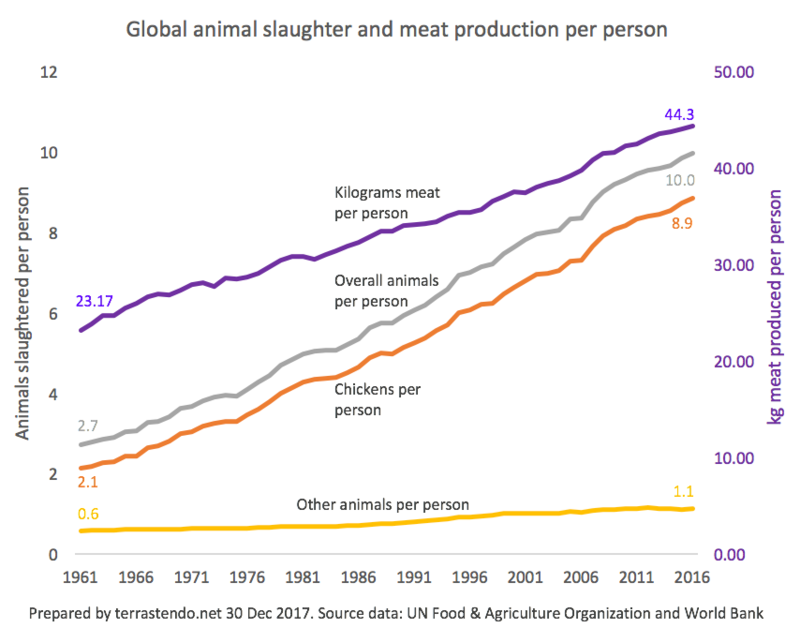 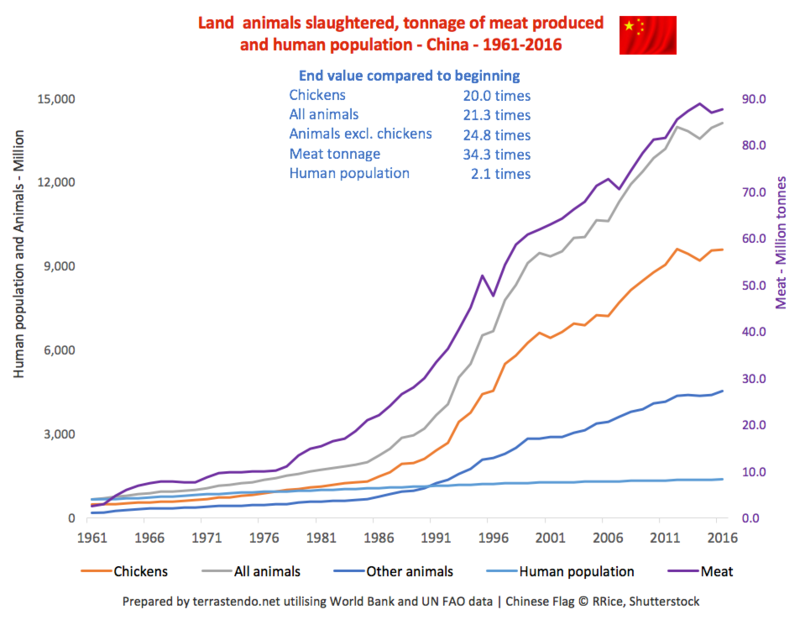 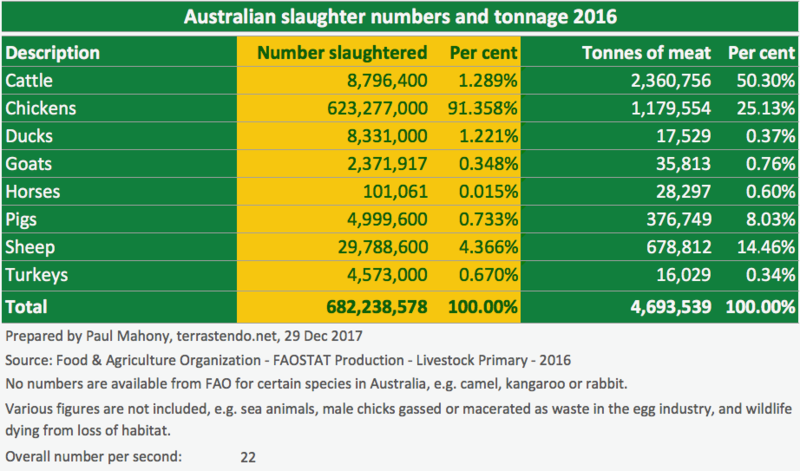 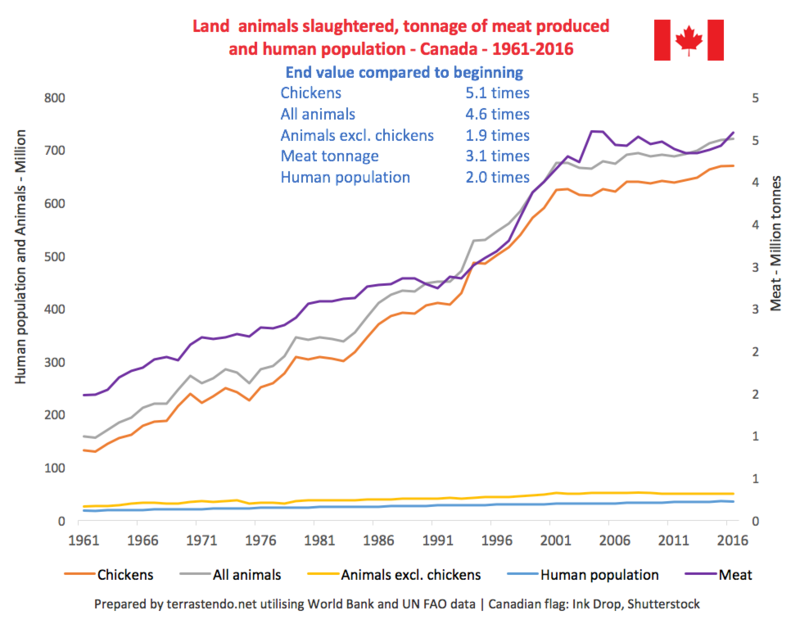 The shocking and shameful figures in the next image reflect the full period of animal slaughter statistics published by the UN Food & Agriculture Organization to 2016. 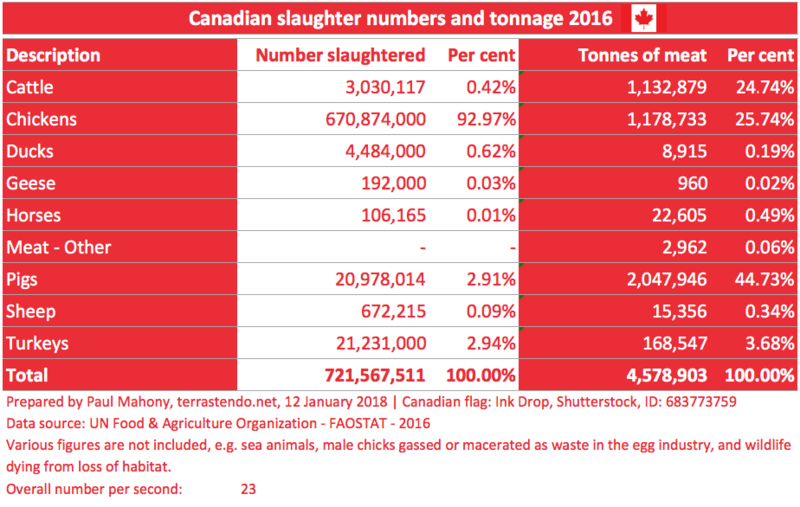 As in all images in the “bubble” and bar chart series, each “number” contributing to the slaughter total represents a thinking and feeling individual, able to experience physical and psychological pain. 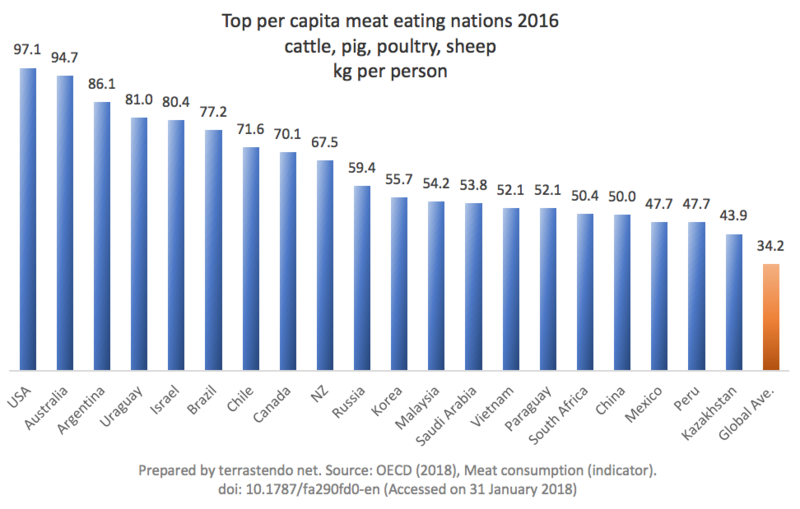 Our government wants Australia to become “the healthiest nation on earth, with the longest life expectancy” by pursuing a “‘national mission’ that harnesses genetic and precision medicine innovations” (James Massola & Adam Gartrell, Sydney Morning Herald, 30 Jan 2018). 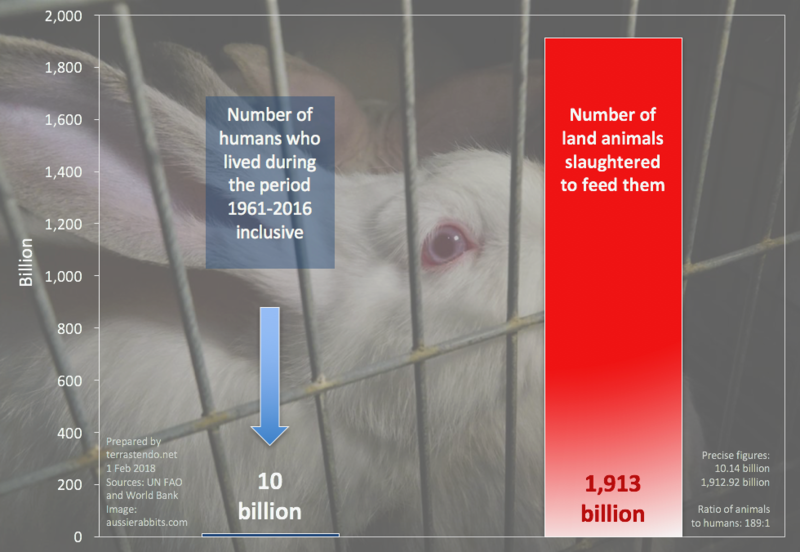 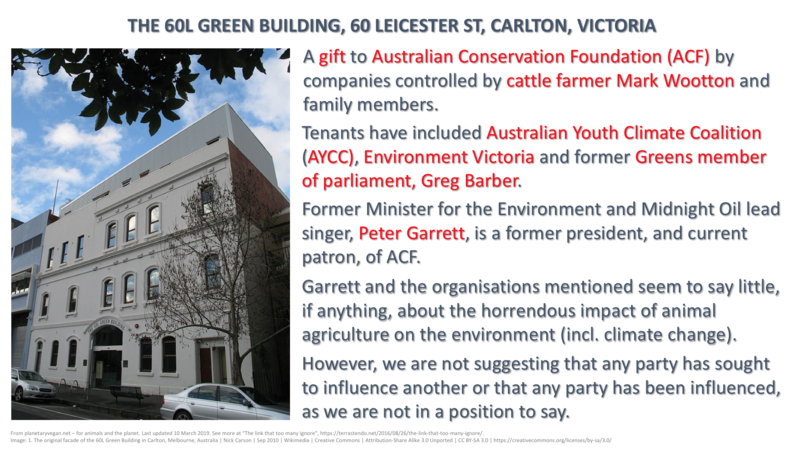 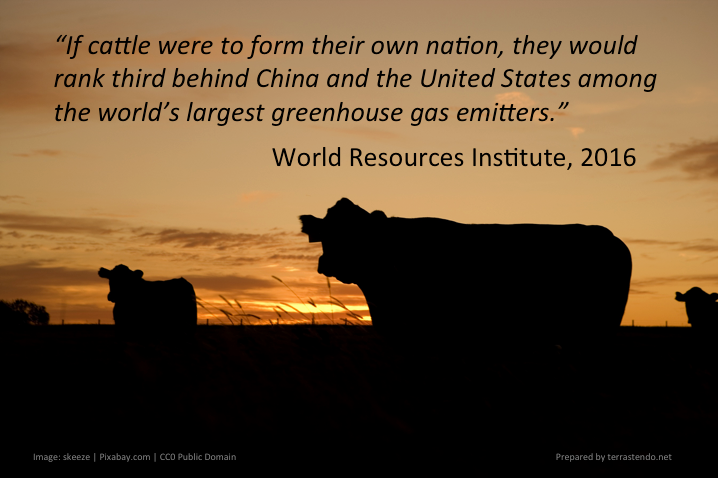 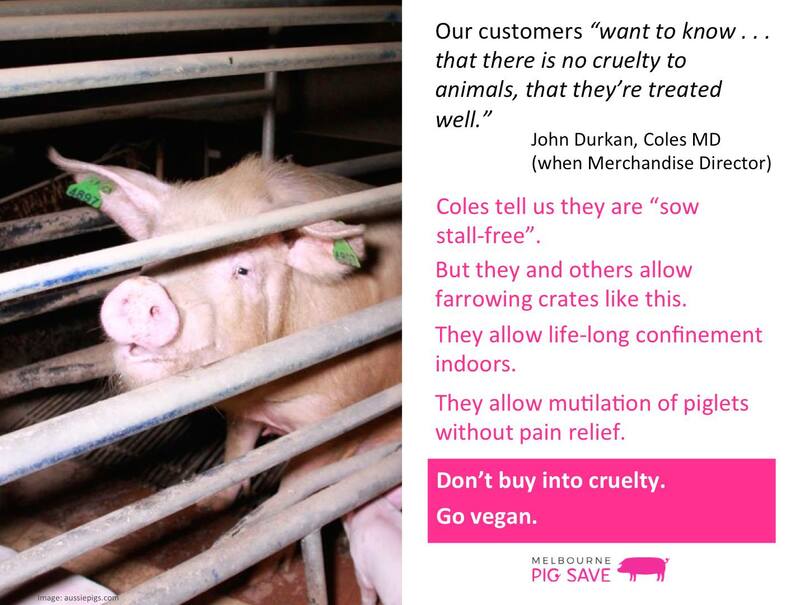 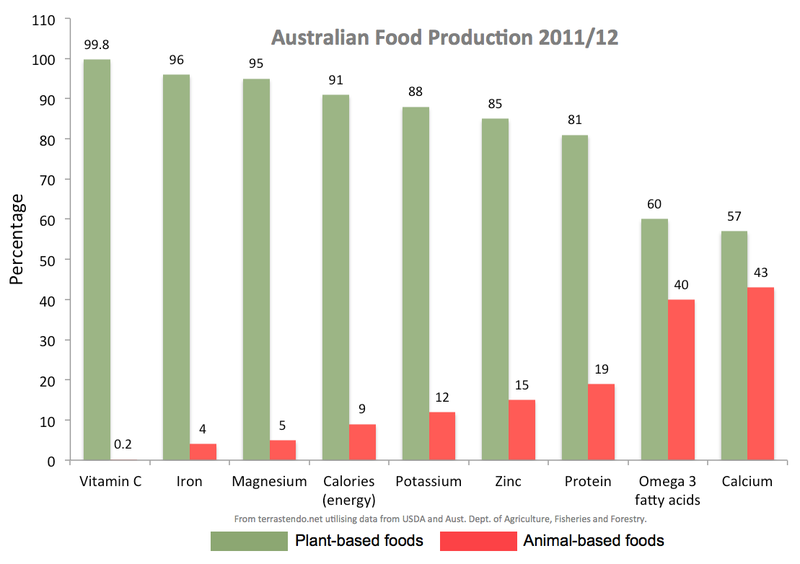 Instead of focusing on medical research at the expense of animals, why not do something about this?